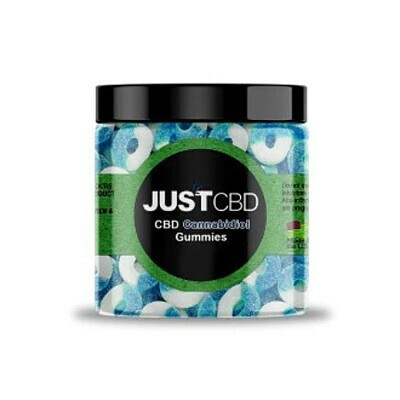 25mg per piece Our CBD Gummies 1000mg jar is the largest size we offer, with over 1000mg of cbd per jar it is sure to keep you enjoying these cbd treats for weeks to come. We offer a wide array of flavors and sizes from our traditional clear bear which contains 10mg of pure cbd per gummy it will bring back the feelings of yesterday eating gummy bears as a youth. Maybe you’re the type that prefer gummy worms, our worms contain approximately 14mg of cbd available in 2 flavors classic clear worm and sour worm. These worms will have you feeling relaxed and stress free. Last but not least Apple Rings these yummy rings are perfect for a nice summer day or a cold winter’s night. Containing 25mg of pure cbd per gummy, these rings will have you feeling that warm relaxation sensation throughout your body. Whatever way you like to eat your cbd edibles you can’t go wrong with any of these selections.